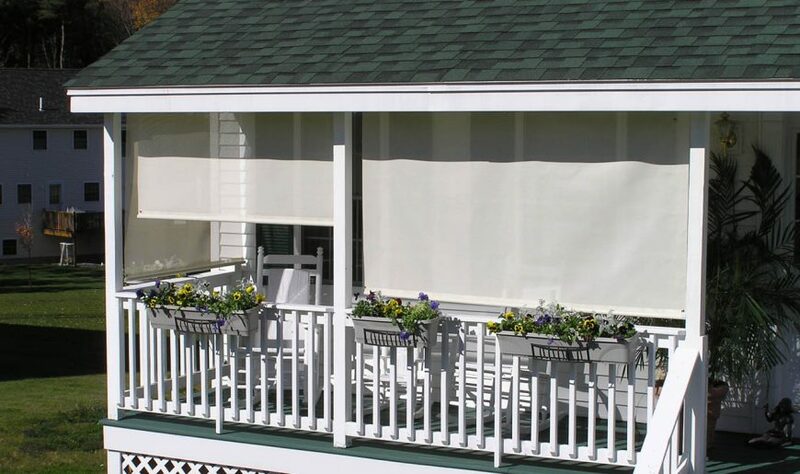 The SunSetter EasyShade® - the quality outdoor shade that looks as good as it works! 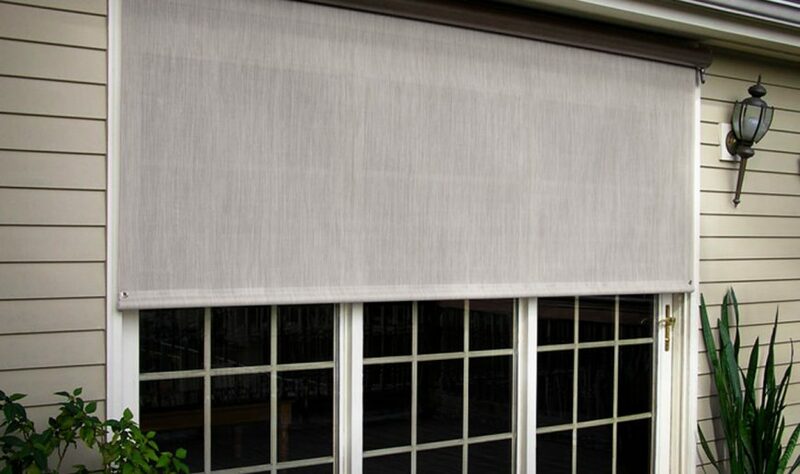 Available in a Charcoal, Coral White, Cream, or Desert Sand vinyl screen that blocks 90% of sun, wind, and mist. 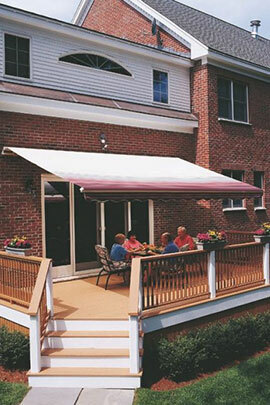 Great for porches, sliders, gazebos, and pergolas. Motorized model has a top-of-the-line Somfy motor hidden inside the housing and features a 12 ft. plug-in cord and remote control operation. The Solar-Powered version requires no plug-in cord, but still operates the Somfy Motor by remote control. The manual version works with a hand crank (included). All models come in widths from 3 to 12 feet, in 6 inch increments. 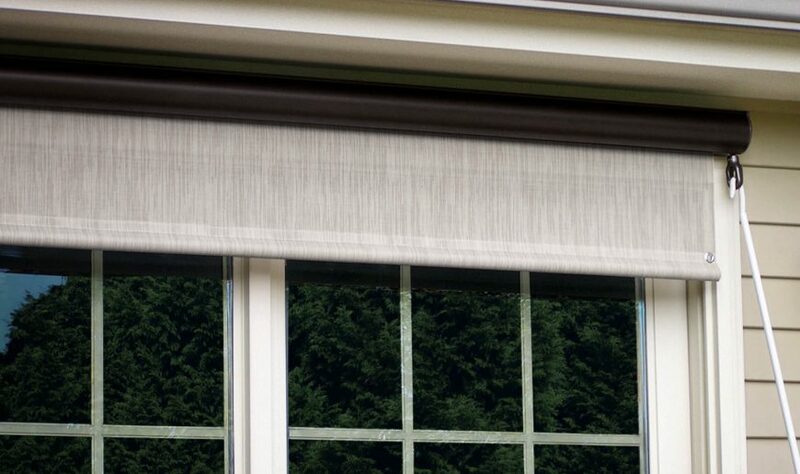 Superb quality, easy to clean, mildew-resistant — maintenance free! Rolls up and down straight every time. 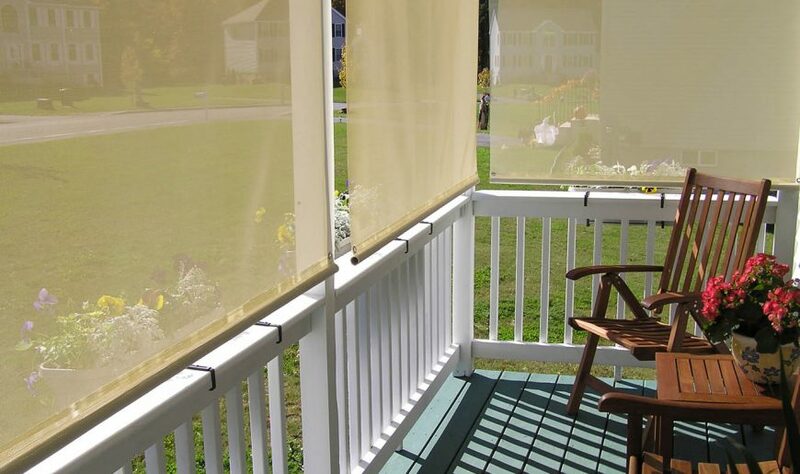 The Motorized and Solar-Powered EasyShades roll up and down on guiding cables for perfect tracking. No uneven edges, no cords to tangle! 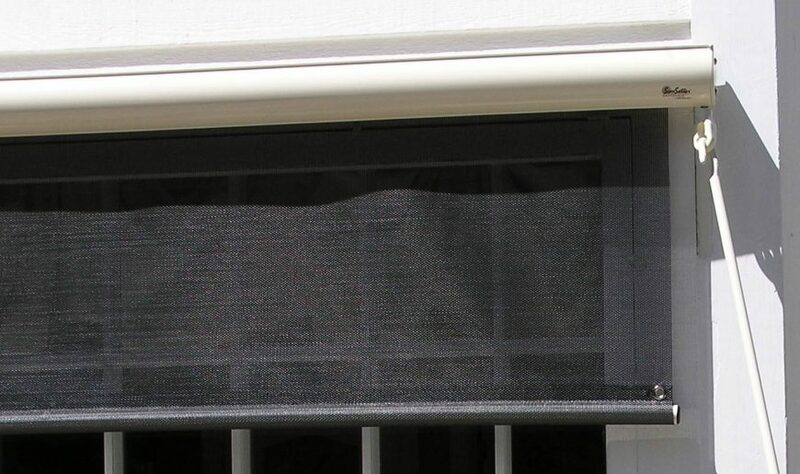 Saves on energy costs by blocking the sun before it heats up your home. Protected by a streamlined aluminum storage housing in your choice of cream or bronze finish. Stays clean and neat, protected from dirt and cobwebs. 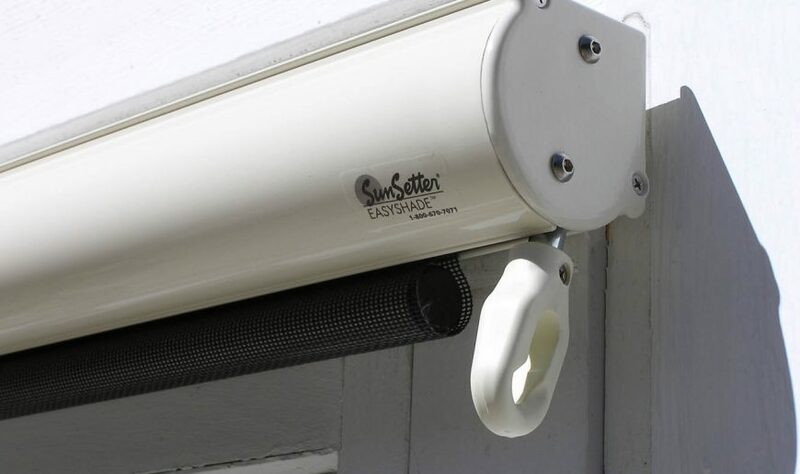 Can be operated from inside your home — perfect for second floor window installations. The Motorized and Solar-Powered models can be operated from inside your home by remote control - perfect for second floor window. Manual model includes bungees and hooks to secure at corners. Note: Actual vinyl screen width is 3 inches smaller than the total product width.